Dan & Phil Part 78: have the courage to exist. Re: Dan & Phil Part 78: have the courage to exist. tag yourself, i am dan refusing to let 'phanwedding' go unnoticed. cute ls, i am excited for phil's video and the tbc dates! if they're gonna have the premiere of the movie there i hope they will wear a suit and post pics thank you very much. also, i am overwhelmed over the times they used 'we' 'us' 'our'. like, it's old news at this point, really, but it never fails to bring a smile on my face. they really have a shared life and it's just so adorable to see. speaking of joint things, are now joint liveshows a Thing we can expect every week? damn, i remember when joint shows were a rarity and people kept wishing for them, and now look at this. 2018, man. Fricking YouNow doesn't seem to save the whole thing and Phil just linked to it from his tumblr, now watching it backwards in 25 bites Sounds like it was a good one. Edit - thank goodness, on desktop it works properly on his tumblr. YouNow wasn't letting me go to the end/actually first moment. I've seen people say they felt like this moment was tense but I look at this and I just marvel at how well I think they handled it. They're... just.... both laughing? Like, Dan didn't even have to call back the moment, but he wanted to roast Phil for reading it without thinking - because he knew that's exactly what Phil had done - and it reads to me as much more self awareness of things they generally try not to say than genuine tension over Phil saying it. and remember when when the occasional joint liveshows used to be led by the person whos account it was on, and the other person was very much "the guest". Then came Rize (RIP) with the joint account and hence jointly balanced liveshows. Now post-tour, despite going back to individual YouNow accounts, the joint liveshows are continuing to be truly joint. A true reflection of what we're seeing on AP too (with the Pumpkin Carving video going as far as to open with a shot of Dan). [2:18] I wonder when Phil actually fainted then, as they said they were gonna do a liveshow on Saturday but didn't cos of Phil dying - but the tweets and hospital (clock) were Sunday. Did they go to hospital the following day, or just get confused. [22:31] TBC dates nearly 'C' (they hope to confirm tomorrow evening). Thank goodness....now how's that Rize giveaway coming along Philly? Ahh that was a lovely liveshow! The continual use "us", "we", "our" was just wonderful. The ever-present togetherness from them is always very nice to hear. I took a few notes down while watching too, but overall it was the perfect kind of short and sweet liveshow for me. -Love them ending liveshows with a blunt "I need food let's go"
I lost it at around 10:17 when Phil looked like he was about to choke on the candy! Both of their reactions were gold too me. [1:04] Phil is going to make a video about the experience of fainting, so he didn't say much about it during the liveshow. At [26:09], Phil says that the video will probably be coming out this weekend. D: obvzkate. There we go. P: Brianna. “The VR one,” said cobra. D: Did you just read “phanwedding” out? P: phanwedding. Oh, yeah. I didn’t realize what I’d read. D: We--We did not play the game known as phanwedding on the chat. P: phanwedding. No. That was the person’s name. Uh. “My heart stopped,” said Becca. D: Are your eyes okay? P: That was the person’s name! [6:17] Phil dishes out a huge burn to Janet. D: Oh, it’s the--it’s the pipes expanding. P: Janet. Your pipes are expanding. Janet. D: Woah, you--Janet has a condition, and that’s very personal. [6:32] Phil’s favorite video from Spooky Week was The Sims because it’s not every day that he gets to see two sims WooHooing in a coffin. Dan’s favorite video was Resident Evil because he had a very scary time editing it. [7:59] The skull bowl is revealed. Dan says that he hates it. Phil says that he loves it. Dan says that there was a whole part of the pumpkin carving video involving the skull that they edited out of the video. I find it interesting (though not surprising) that they both edit collaborative main channel videos. [9:52] Dan says that he’s never going to carve a pumpkin again because it was too much exercise. Sooo...back to spooky baking next year? [10:18] The candy that Phil is sucking on breaks, and it sets off a chain reaction of interesting moments and statements. P: Broke it. Right down my throat, that did. That could have been the end of me again. D: Call Chris and PJ. D: It’s time for the slap. Um. #ChristmasDisaster. D: Bad name for a video. D: I’m not gonna say--I’m just--Wow. Uh, I’m--I apologize. I’m really, really upset. D: That la--That entire thirty seconds happened. What was I saying? Yeah. [11:11] Dan tells the story of Phil watching fireworks on Bonfire Night. Dan is very dramatic, and his imitation of Phil is priceless. 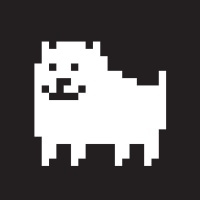 [12:34] Someone in the chat asks if Dan can talk about his furry-themed Halloween Twitter layout, and he refuses...until Phil says that he should. 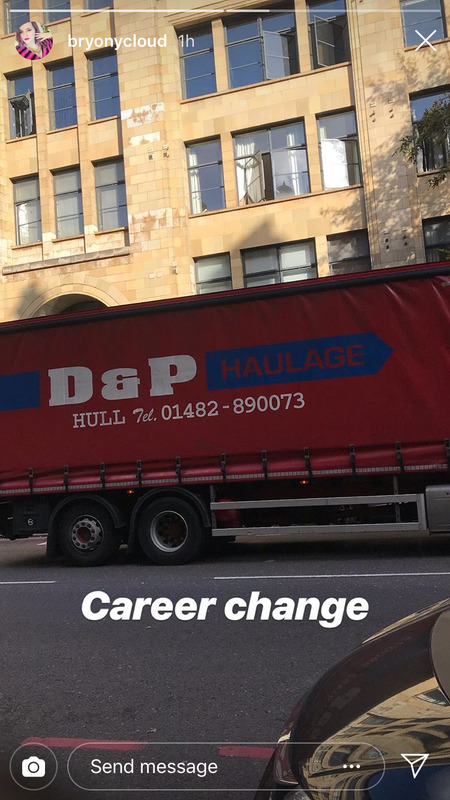 Dan says he did it to make us all suffer and because he thinks nothing is more fun than carrying something on for slightly too long. He had planned to change it back to normal on November 2, but then he forgot. [13:46] Dan and Phil talk about working with the Willow Foundation, which is dedicated to bringing special days to the seriously ill who are between sixteen and forty years old. I had never heard of this foundation, and I have to say that I really love the whole idea behind it! I’m glad Dan and Phil are involved. [17:43] Dan says that they already have plans for the night because they’re going to be watching The Haunting of Hill House. Every time I hear about Dan and Phil making specific plans to watch a show together, I find it adorable. Dan says his favorite character is “the lesbian,” and he gives a shout out to all the lesbians watching. [19:44] Apparently, Dan and Phil keep regular tabs on each other’s likes on Twitter. P: Someone on Twitter showed me how to open it. Did you see the like I did? [22:30] Dan and Phil talk about the Interactive Introverts TBC dates. It sounds like they’re going to host screenings of the movie in São Paulo and Mexico City, and this is going to be announced officially tomorrow evening (or maybe Monday). The dates have been TBC for so long because they weren’t able to find a way to get their whole set and crew to these countries. [25:09] A premium message asks whether Dan is ticklish. Dan says that the question is creepy and pervy, and he warns Phil that he will kill Phil if Phil tries to touch him. Phil's sacrifice would have been worth it. [25:50] Dan says “ooh” in a dramatic way, and Phil asks him what that noise was. Idk, it was cute. P: See you sooner than you’d like...I don’t know what that means. D: Okay. And that’s a threat. The live show was really lovely! They both looked smiley and happy. I loved that Dan couldn't let phanwedding slide, and how they both just laughed about it. The call back to Christmas disaster was unexpected and nice (please do call Chris and PJ, that's a Truth bomb game I want to watch). They seemed so excited about the TBC thing! I think live screenings of the movie is probably the best compromise they could do, it seems to have been a lot of work behind the scenes. I loved Dan’s reaction to Phil’s candy lipstick in the mouth etc. Also Phil sidling past behind the sofa. I’m glad they can finally tell us about the tbc, how weird they can’t get stuff there. Phil raised an eyebrow at one point, I forget why, never noticed him do that before, but he was focused intently on that pixie stick too, of course sugar needs his attention. I was so nice to see Dan and Phil live today. I have the feeling I'm going to want to hug Phil and then shake him after hearing the full story concerning whatever infection he had that lead to fainting and "dying" before going to hospital. I'm happy to hear he'll be making a storytime like video about it, though. Thoughts on whether he'll film in the AP room? 0:00 Apparently we miss an intro in which Phil is wondering why Dan's mouth is open really wide and Dan is wondering what will happen if Phil doesn't make a noise. Dan's... unique... experiment with silence during live-shows continues. 1:00 Dan brings up Phil fainting and then interrupts Phil before he can talk about fainting to confirm that the chat wants to hear about Phil fainting right away. Phil does not need this confirmation and is aware that people were worried about him. 1:25 Something falls while Phil is talking. P: "Rude." 2:30 They were going to do a live-show last Saturday but couldn't because Phil was sick ("died"). 2:50 They were both editing the Halloween video on actual Halloween. 3:00 P: "Dan in pajamas is a scary sight." 4:35 Phil calls Dan out for using an old meme. Dan manages to look shocked and betrayed without making an expression. 5:00 Phil blames the VR game for scaring Dan off his chair. Phil is a lying liar who lies. 5:30 #phanwedding It's clear on rewatch that Phil was reading a username "Phanwedding says quiz" but while watching it live I, like Dan, thought he'd just randomly read the words out. D: "We did not play the game known as Phan Wedding." 6:20 Dan and Phil strongly disagree with the notion that house noises could be caused by pipes expanding and have clearly had this passionate discussion several times before. 7:00 Phil gets Dan to choose a favorite. Phil is a magician. 11:10 Dan is allowed to continue interrupting Phil's story in order to make it clear how ridiculous the story is. 11:35 Important information about their bonfire night experience from Dan: "Phil was wearing slippers." 12:45 Phil's tone saying "I mean, I think you should talk about it" was very genuine sounding considering the jokey subject. 13:00 D: "Nothing is more fun than carrying something on slightly longer than anybody's comfortable with." 13:10 Dan meant to change his twitter back on November 2nd but forgot until the 4th. 14:40 Fan Emma brought them pictures of her dog. Fan Emma knows them well. 15:45 They currently have no new plants to kill. Phil has a sad maple tree that is valid. 17:40 dnp discuss changes in record label promotion schemes. 18:45 Phil tricked Martyn into watching horror films with him, the brat. 19:40 P: "Can I eat a pixie stick?" D: "Yeah. Totally." 19:50 Dan apparently saw a pixie stick being opened properly on twitter but is still shocked and impressed by Phil's ability to open the pixie stick. 22:00 Dan and Phil's response to someone having a baby is to decide what she should name it. 22:15 Dan thought Tara from Buffy's name was spelled like terra due to the California accents in Buffy. Because I'm Californian this whole conversation sounds like "Was her name Tara?" "No, it was Tara." "I thought it was Tara!" 25:35 Much like telling people not to google 'extreme granny' Phil also definitely doesn't want people to watch the documentary Tickled by David Farrier. 25:55 Discussing pinof 10, Dan makes the specific "oof" noise Phil made in pinof 1. P: "What is that noise?" D: "The tension." 26:00 It's only November and Phil has now said twice that Dan is responsible for the potentially-but-not-definitely-kilt-wearing tree delivery person. 26:30 Dan and Phil are really enjoying their #notspon free stuff lately. 29:55 Dan makes a cannibalism joke and "on that note" Phil is hungry so they're leaving. 30:55 P: "Hey Dan, you can have some Love Hearts Lipstick" and other sentences Phil has said today. 31:20 New AP this weekend "if it happens"
i think that it would be filmed in the AP room, i don't know where else he'd choose if not.. maybe the slounge? in their actual living room? would he even address it? idk man, but i would be perfectly fine if he just decides to film in that little bread box of his. I mean since it seems like a storytime that maybe took place at home, with possible skits, I think it would be natural to film in their lounge, maybe with the hospital bits being filmed in the slounge (white tiles, the glass divider of Dan’s filming space). But if they were out when it happened I guess all bets are off. Still I just want to move forward from “hey guys!” from those bright bedsheets. 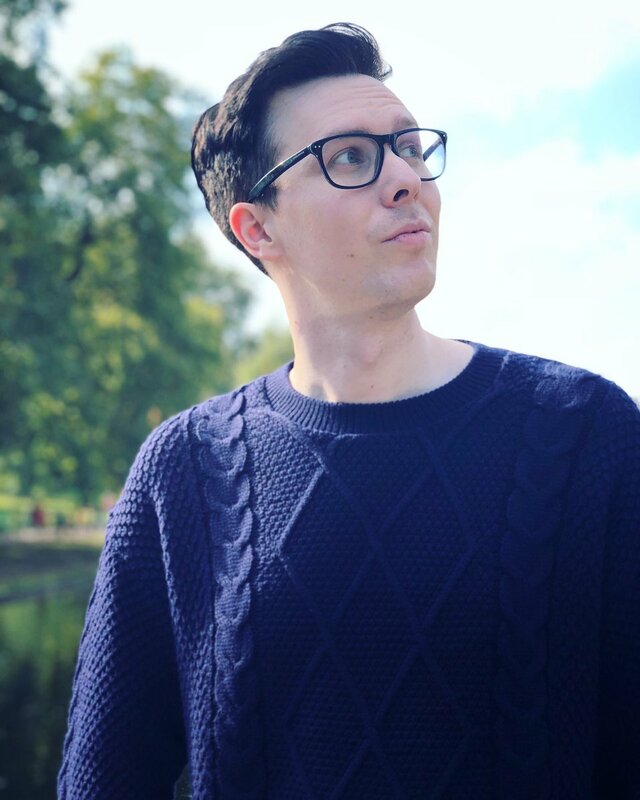 Not that I don’t appreciate the nostalgia, but I just want more of this grown up, confident and more natural Phil. I’m hoping for the intro and narration to take place from an arm chair or sofa. Hmm, I feel like the video will be filmed in the broom closet tbh, but I'd be happy to be proved wrong. Although I must say that going back to that filming background now would be kinda weird since Phil has been doing a good job at ditching his AmazingPhil persona this year and that bedroom just screams AmazingPhil to me, but we'll see. Time to vote for the next thread name! And have an autumn drink while you're at it! +1 for this! I’ve just got this gut feeling like if we ever see the broom closet again, it’ll be done completely different and very obviously not trying to be passed off as his bedroom. If anything, maybe it’ll just be a different angle/ set up like Dan’s nook. I have been really convinced we wouldn't see the AP room as-is except for pinof, but now that he said he's filming this weekend I have this feeling like he'll just slot back into place there like normal. Aesthetically, at least. 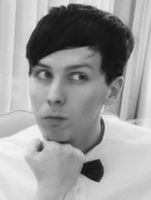 I do still expect more of a Phil-not-AmazingPhil vibe personality wise. I think that while he's made some changes, ditching his 'bedroom' would be too much like proof for us vultures, so I'm not sure he's going to do that. Would be interesting if he changed it at all, though. The more i think about it, the more i'm sure that it will be filmed in the AP room, especially 'cause they're gonna film PINOF there anyway. I don't think he will bother changing room for a video just to go back there for the next one. Am I missing something? Why do we think Phil is going to change his room? I appreciate that he has been more openly crude than usual, but I'm not convinced he'll change his video background as that seems far more drastic to me than his quiff, and that took him a long time to accept. I'm not expecting a big change, though.